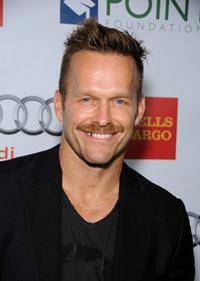 Jumpstart to Skinny is a diet plan from Bob Harper. The diet lasts for three weeks and is a very low-calorie plan based on an 800-calorie intake per day for women and a 1200-calorie per day consumption for men for three weeks. The calorie distribution is 40:40:20, with 40 percent of calories coming from protein, 40 percent from carbohydrates and 20 percent from fats. There is also a high consumption of vegetables. At the end of the three-week period, The Skinny Rules are to be followed for maintenance, and that is considered a lifetime plan. The Jumpstart to Skinny diet plan is a quick and short-term strategy for weight loss. It requires the preparation of three meals a day, including breakfast. Harper, in an interview given to Glamour magazine, stated that many people skip breakfast in an attempt to save calories or because they don't feel hungry, but this plan requires breakfast every day. The calorie intake on this plan is limited to 800 calories per day, with no eating out whatsoever, and only raw, boiled, or microwaved vegetables are to be consumed between meals. Each meal is to be accompanied by 16 ounces of water, a cup of coffee and a 1,000 mg fish oil supplement. 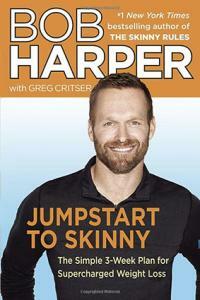 Harper's Jumpstart to Skinny book features a variety of meal plans (pages 54- 74) and recipes (pages 112-195). For breakfast, a pasta egg scramble, that follows the 40-40-20 rule, which uses the whole wheat pasta as the source of carbohydrates, the egg whites serve as the protein, and healthy fats include olive oil and parmesan cheese, could be ideal to start the day off. For lunch, you could enjoy a Pesto Baked Chicken Salad that follows the principles of the diet. For dinner a Jumbo Chicken Stir-fry prepared specifically to follow the diet's requirements could close up the day. A wide variety of foods are allowed on the diet, but it's important to keep your calories low to follow the specifics of the plan. Complex carbohydrates are to be consumed only at breakfast and recipes include Ezekiel bread, rolled oats, quinoa, whole-wheat or whole-grain pasta. Some fruits are allowed (i.e., apples, blueberries, blackberries, kiwi, strawberries, mango, pineapple and watermelon), but only the first and second weeks. Take a 30 to 45 minute stroll before breakfast every day. Perform additional exercise five days per week for 15 - 20 minutes per day. Exercise should include push-ups, sit-ups, squats, kettle-bell moves, burpees, etc., or as Harper calls them, "jumpstart moves." Get a feeling of this jumpstart moves at the Dr. Oz show website. Bob Harper claims that even though this is a very low-calorie diet plan, it is nutritionally dense, as it is based on super-foods. The plan also promises amazing results, with a loss of 20 pounds in 21 days. Finally, the Jumpstart to Skinny program promises that you will not go hungry if the rules are followed precisely.